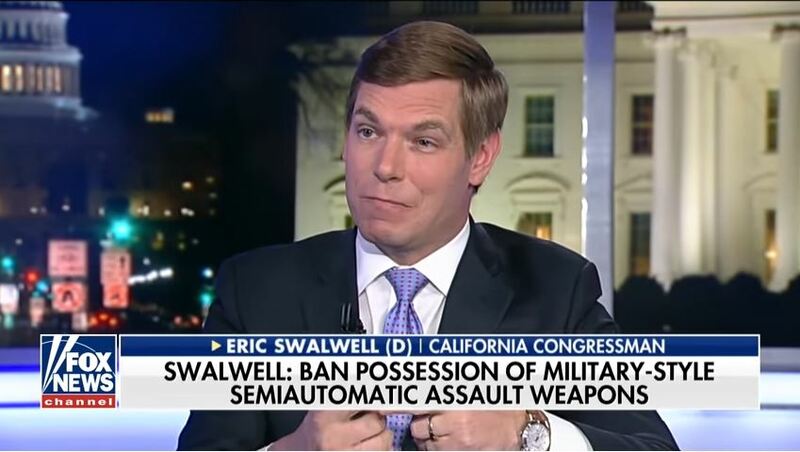 Rep Eric Swalwell (D-CA) has a proposal for a gun buyback program (highly expensive for the entire nation), and suggested that if 2nd Amendment supporters wouldn’t turn in their guns, “it would be a short war” because “the government has nukes.” He says it was just “sarcasm.” And we thought Clinton, Waters, Booker, Holder, Pelosi, and their ilk had violent rhetoric? The zero progress part is that Mr. Swalwell in one moment threatens to investigate the President because Democrats hate him and think he’s dangerous, and in the next he tells someone that it’s “ludicrous” to think we need guns against the government. He doesn’t just sip the Kool-Aid, he’s been guzzling it. Previous articleCalifornia’s Wildfires Lend Fuel To “Climate Change” Hucksters, Yet, Miss The Real Targets: Fire Jihad + Environmental Extremists, Stupid!